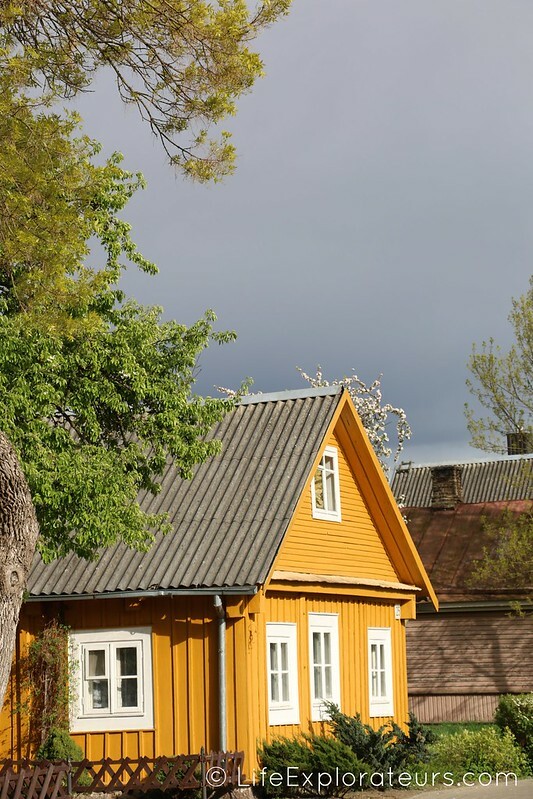 Before going to New Zealand through our half of the World 3-months tour by buses and trains, we decided to cross something out of our european bucket list : the Baltic countries… But as every long term travelers, we were on a shoe string budget ! When visiting a city we like to walk around, looking up at buildings or enjoying the nature around. 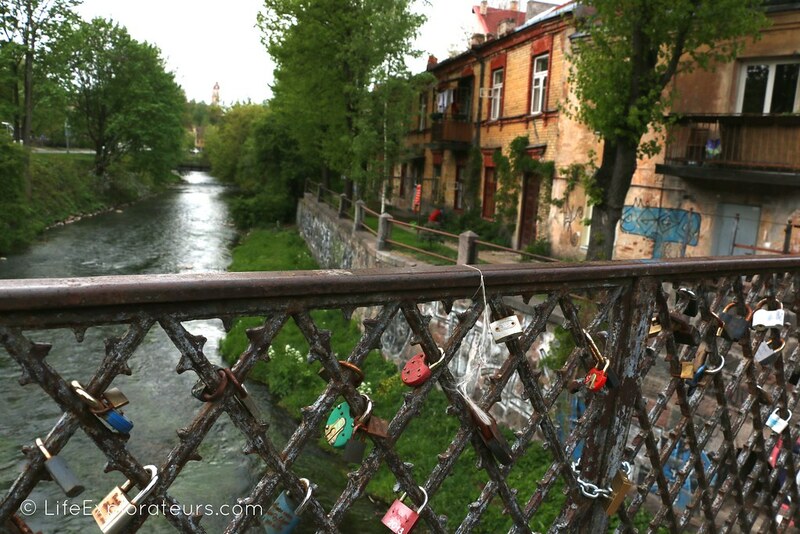 The walk alongside the Neris river is a quiet and green one. A must do ! 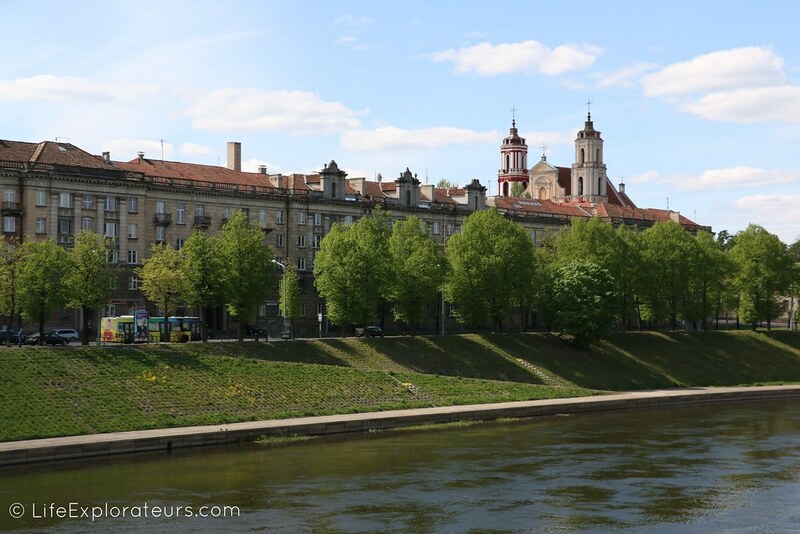 Despite the numerous invasions and destructions, Vilnius has kept many historical buildings combining different genres such as baroque, Renaissance and Classic that is why it has made it on the UNESCO World Heritage Sites list. 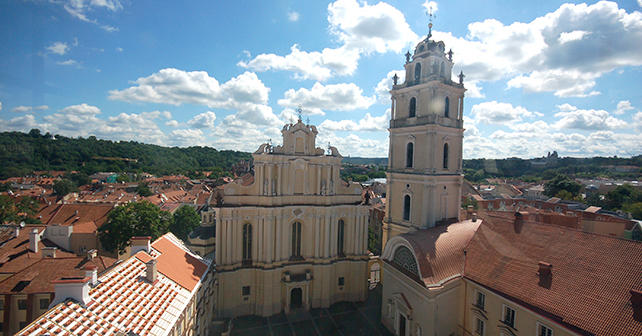 The Cathedral of Vilnius is particularly remarkable. The Republic of Užupis is a district located in the old town and inhabited by artists. This so called republic holds its national day on April’s fools day… You can even get a stamp on your passport ! 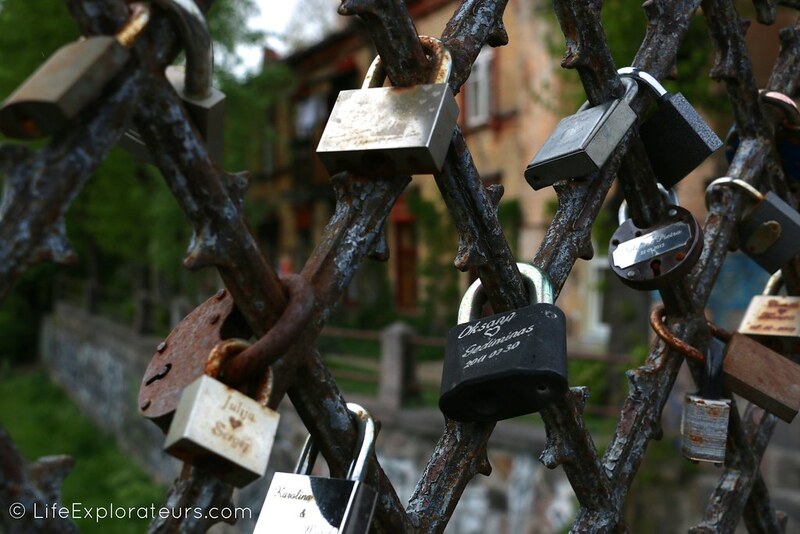 The bohemian atmosphere floating around makes you feel you’re in Paris’ Montmartre district sometimes, they have locks on a bridge too. 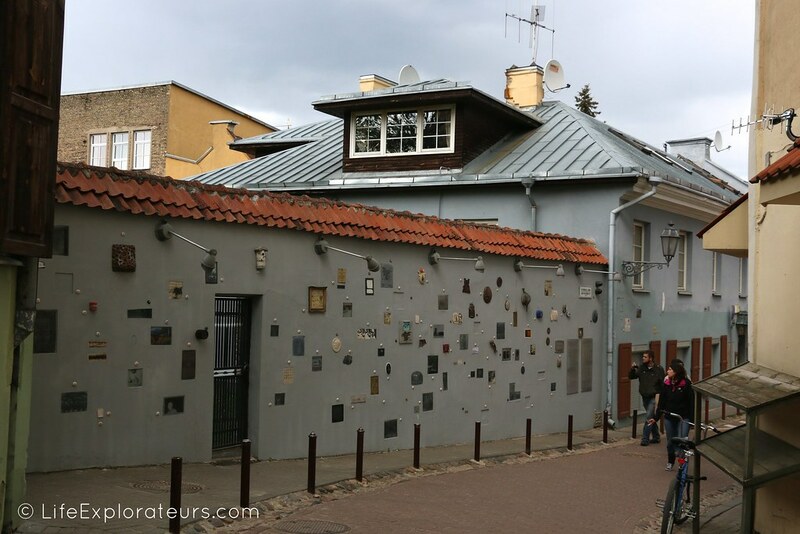 Located between the University and the Republic of Užupis, Literatų Gatvė, meaning Literature street is an outdoor gallery displaying quotes, drawing, signatures and marks of all sorts dedicated to writers and poets. Although this was scary for me (I am not a brave person when it comes to heights), the view from the Bell Tower of St. John’s Church is simply amazing. It’s cheap and you get to visit the University area which has nice buildings too. We actually preferred this view better than the Gediminas tower which is known to be THE viewing point of the city. 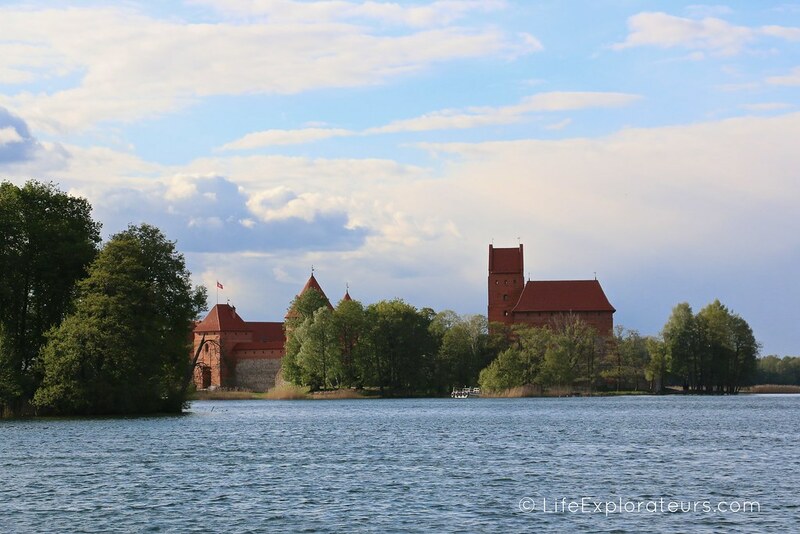 Only half an hour away by bus from the city centre, going to the town of Trakai is a great day trip worth the little money ! Both the natural surroundings and architecture are delights, the beautifully colored houses, the castle and the historical objects displayed are definitely worth the trip. 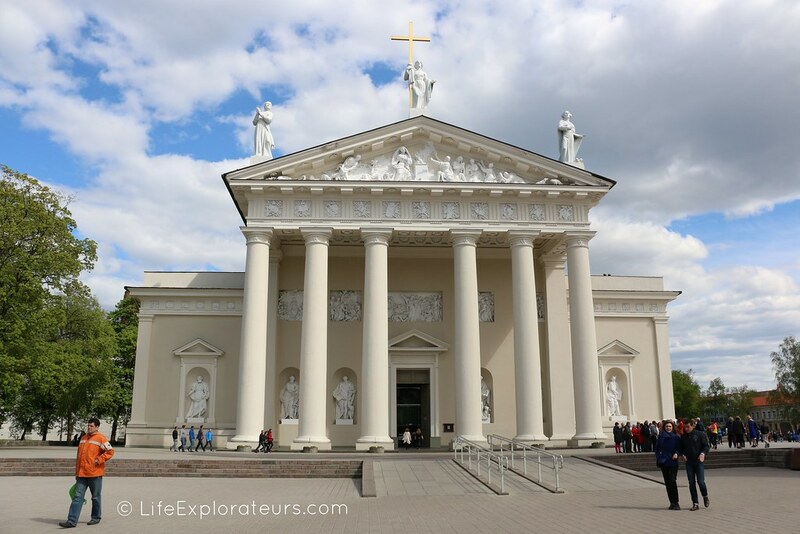 Plus you really get to learn more about Lithuania’s history. What do you think about our cheap spots ? 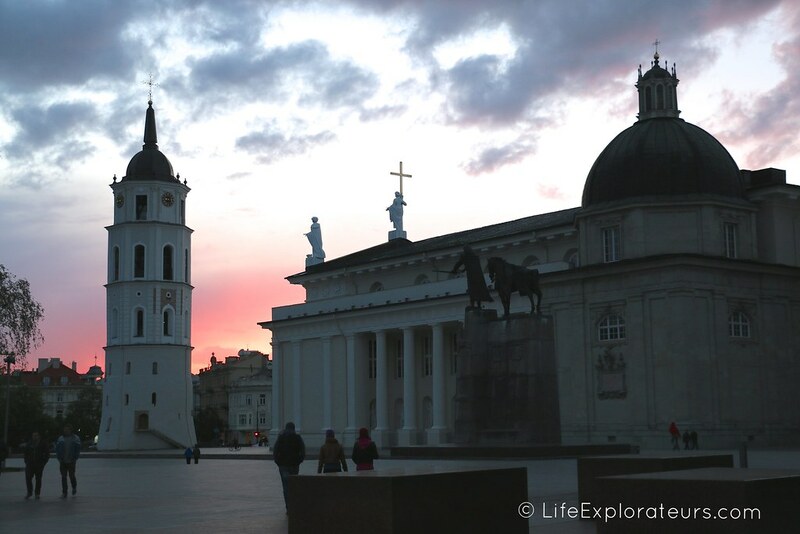 If you know more about Vilnius or Lithuania, share your long term travel tips below !